Sloggers Waterproof Shoes and Boots History MADE IN THE USA! 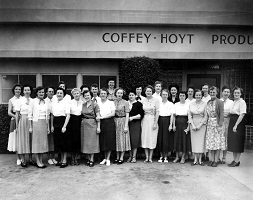 1948 - Coffey-Hoyt Products is founded in Gardena, California. First clear plastic overshoe called the Drizzle Boot is made. 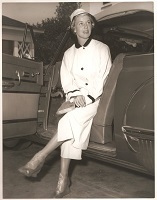 1960's - Drizzle Boots were still very popular. New variations of the style are added like these fur trim Drizzle Boots. 1997 - First Sloggers are made. 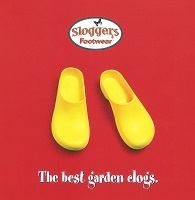 Sloggers brand shoes are the first shoe to be sold in lawn and garden stores. 2000's - The boom of social media and online commerce sites such as Amazon, reviews and direct feedback are used to revise Slogger’s product to match customer needs. In 2007, the Half-Size Insoler is added to Sloggers line in direct response to customer demand. 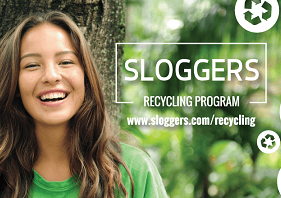 2014 - Sloggers Recycling Program is introduced. 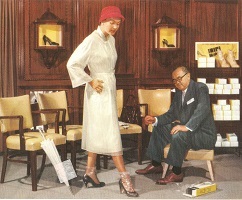 “Sloggers will grind them up and put them back into a new pair! 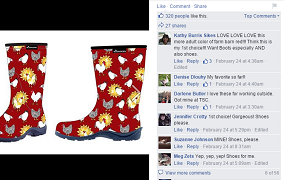 2015 - Sloggers works with their Facebook fans to co-create the Chicken Collection – Sloggers’ first line 100% vetted and approved by the customer. 2016 and Beyond - Continued Commitment to quality and creating jobs for American workers. California Plant can produce up to 4,000 pairs of Sloggers a day. Continued Commitment to listening to customers; developing prints and styles that have lasting WOW appeal!! Made in the USA... Always was. Always will be.